We are a leading Manufacturer of plastic masala box, plastic food scoop, plastic vegetable strainer, plastic gas cylinder trolley, plastic ice tray and plastic baby sipper bottle from Ahmedabad, India. With sincere intentions to preserve and uplift our reputation in the market, we are offering a comprehensive assortment of Plastic Food Scoop. This food scoop is manufactured by our skilled workforce in our manufacturing unit using high quality of material. Our fppd scoop is checked by our quality controllers on different parameters so as to supply a defect free range. We provide this food scoop to our customers in various sizes & colors. We are manufacturer of Plastic Vegetable Strainer Useable for washing vegetables, rice, poha. Designed for soaking and washing rice effectively. A thorough washing can significantly reduce toxins and chemical levels. Also great for fruits and vegetables, legumes, barley and other larger grains. Made from eco-friendly BPA-free, food grade plastic. Easy to clean top-rack dishwasher safe. 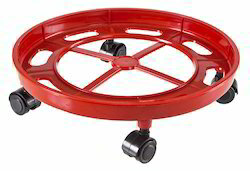 Woveshwar Moulds manufactured Plastic Gas Cylinder Trolley with the advantage of a stabilising wheel. The units are sturdy for long life and are complete with large diameter wheels offering excellent value for money. for safely transporting one gas cylinder . Driven by technically advanced facilities at our ultra-modern manufacturing unit, we are presenting an extensive range of Plastic Ice Tray. This ice tray is manufactured by our skilled workforce in our manufacturing unit using high quality of plastic. Our ice tray is checked by our quality controllers on different parameters so as to supply a defect free range. We provide this ice tray to our customers in various sizes & colors. 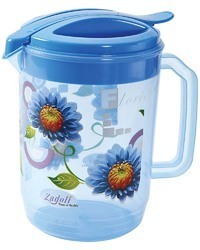 Plastic Baby Sipper Bottle is made using the highest quality food grade material and Plastic. During their growth period, babies are under a constant process of learning and are exposed to new things every day. As you start feeding baby, it is important to use the correct and appropriate product to ensure smooth transitions and healthy development. Looking for Plastic Kitchen Accessories ?